Luc and Rachel Bourgault at their home in Clearmont, Wyoming. Luc and Rachel Bourgault live nestled in a hill right outside of Sheridan, Wyoming in Clearmont. They are new members of Powder River Basin Resource Council. They are local producers and the fourth generation to live on this homestead. The Bourgaults live in an earth sheltered, passive solar house they built entirely themselves. Inside of their home, the counters and tables are covered with glass jars filled with tomatoes and preserves. Empty mason jars sit glistening in the sunlight waiting to be filled. Lower Piney Heirloom Vegetable Gardens. “For the market we grow tomatoes, carrots, all the herbs, broccoli, potatoes, green beans, peas, all the berries, squash, okra... We actually are just very self-centered, we like food so we just produce what we want to eat ourselves,” jokes Rachel. Luc and Rachel have an undeniable electric sense of humor. Their candor and energy is magnetic. It is hard to believe that they are in their seventies – from their lively banter to the long hours and unwavering dedication they put into their work around the garden and at the farmers market. Rachel holds green peppers for a customer to examine at Landon’s Greenhouse Saturday Farmers Market. Rachel and Luc sell their produce at Landon’s Greenhouse Saturday Farmers Market. For the Bourgaults, the market is a time to educate and connect with others. Rachel and Luc encourage people they meet to grow their own food and to garden. Rachel and Luc prepare vegetables for a customer. “The real misconception is that people compete with each other at the farmers market,” said Rachel. There are three producers including the Bourgaults that grow some of the same produce. “We all run out of stuff,” said Luc. 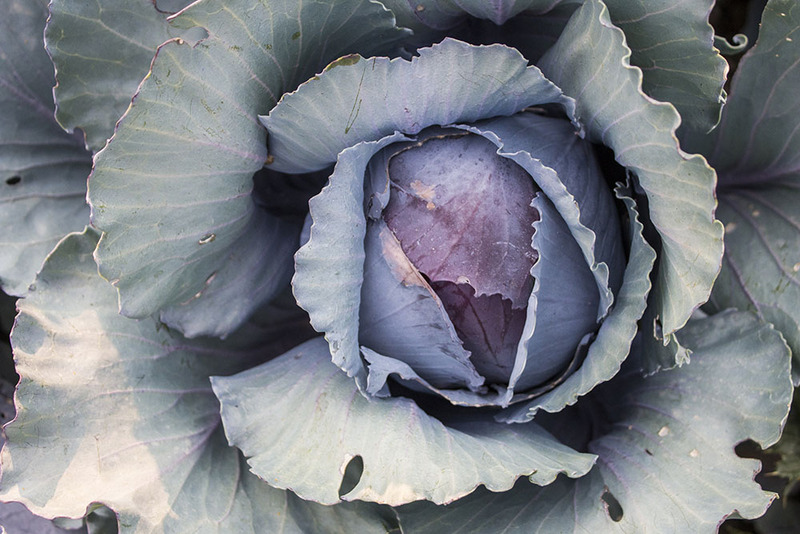 The demand for each and every grower’s produce is large enough to support the producers and feed the community. Luc bags corn for a customer at Landon’s Greenhouse Saturday Farmers Market in Sheridan, Wyoming. “The other thing people don’t realize is that we trade with one another. We don’t grow radishes so we trade something for them and get radishes from another producer. We also trade for greens,” said Rachel. The exchange of knowledge between producers and consumers echos throughout the market. Luc recalls educating many consumers on what “heirloom” and “organic” means. Rachel is often approached by market goers and asked how she gets her tomatoes so healthy. 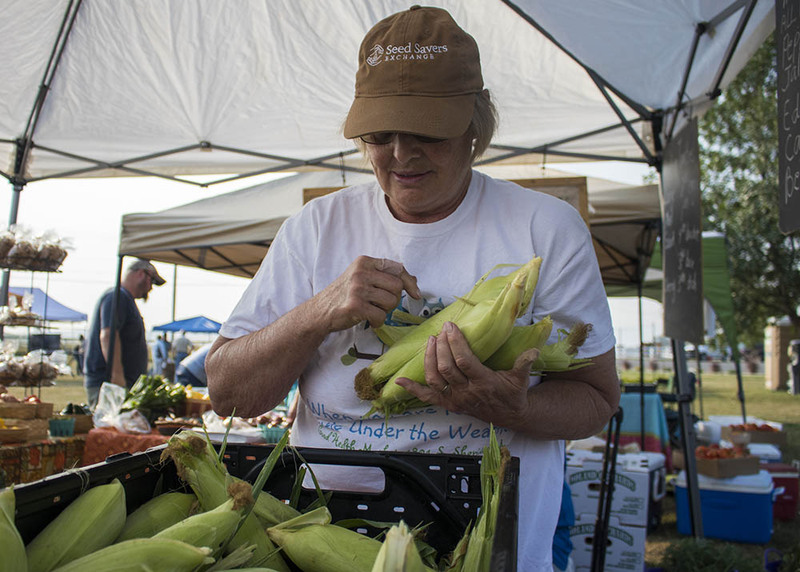 Rachel gathers corn for a customer at Landon’s Greenhouse Saturday Farmers Market in Sheridan, Wyoming. The Bourgaults’ biggest challenge in farming is the weather. Rachel and Luc appreciate the hardships that weather provides. “You have to be challenged in order to keep your brain elastic. We embrace the challenges of producing with open arms. We don’t see challenges as a negative thing,” said Rachel. Cabbage at Lower Piney Heirloom Vegetable Gardens. The other challenge is knowing which way the market will go. The Bourgaults are constantly thinking about what the consumer wants. Luc recalls planting purple peppers and orange tomatoes a few years ago and consumers didn’t want anything to do with them. Today, however, the demand for colorful produce is booming. “Over the last few years there has been a growth in demand for heirloom and organic,” said Luc. Rachel says her favorite part of growing food is the weeding. “I’m serious. I have issues because I worked in healthcare, so weeding helps me get some of that anger out." The Bourgaults encourage people to consider purchasing local and organic food when possible and also to grow their own food. “When people pick their own food something happens,” said Luc. That connection to food helps foster an understanding between the land and your health. Tomatoes at Lower Piney Heirloom Vegetable Gardens.